Parents - Chabad Lubavitch of Ulster County: Where all are welcome! 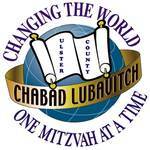 Chabad Lubavitch of Ulster County: Where all are welcome! Hope you are all having a wonderful and enjoyable summer! We miss all the children and look forward to seeing them all soon in our weekly hebrew school. Please be in contact with us for starting and vacation dates. Thank you all for entrusting your children's Jewish education in our hands! We firmly believe that your child's Jewish education should be fun, upbeat, and interesting. At The Hebrew School of Ulster County, families of all backgrounds and affiliations are made to feel welcome. Please invite your friends to visit our Hebrew School to learn more about our unique programs and curriculum. Looking forward to a year of learning, growth and fun! Wishing you all a happy & healthy rest of summer! Attached are registration forms and information regarding this year's curriculum. If you have any questions or concerns, please do not hesitate to call or email. Please fill out the forms at your earliest convenience. If you would like the forms to be mailed, please let us know. Please Note: If you refer a child to our Hebrew School, you qualify for a 25% reduction in your tuition costs for your child.